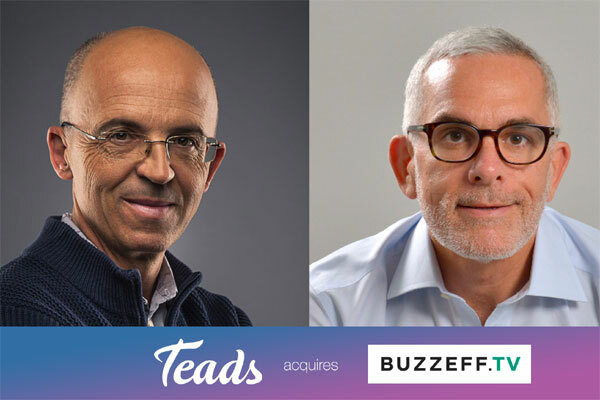 Teads, a global advertising technology company, has acquired Buzzeff, an online advertising specialist in the Middle East and North Africa, to expand its outreach and bolster services for regional advertisers. Following an agreement signed on January 16, the two companies have merged to form Teads Mena, with strategic locations in Dubai and Casablanca. "By acquiring Buzzeff, we’ve added a new dimension to our offering. Not only have we strengthened our presence in Mena, an important region for us, but our direct footprint means that we can capture more growth opportunities and get closer to strategic clients,” said Pierre Chappaz, executive chairman at Teads. Aside from ensuring brand-safe, fraud-free and viewable inventory as the existing benefits of Buzzeff’s services, Teads Mena will now offer a wide range of additional benefits to Mena advertisers such as data services, outcome-based optimization and full-funnel solutions. Mena publishers will also benefit from Teads Media Platform and global client base to grow their advertising revenues. "Mergers and acquisitions in our industry are not a commonplace in this region, so this is a real milestone for us to celebrate,” commented Jerome Mouthon, previously founder and chairman of Buzzeff MEA, and now the lead for Teads Mena.